Mr. Karthi Thandavakon is a resident from Tiruppur, an artist by profession needs your help as his daughter Hrudhaiya Lakshmi (21) is fighting with Brain Tuberculosis. She was a topper in her school studies. She always wanted to be an Astrophysicist, and when she was pursuing her final year BSc Physics, doctors finally diagnosed her with Brain TB. 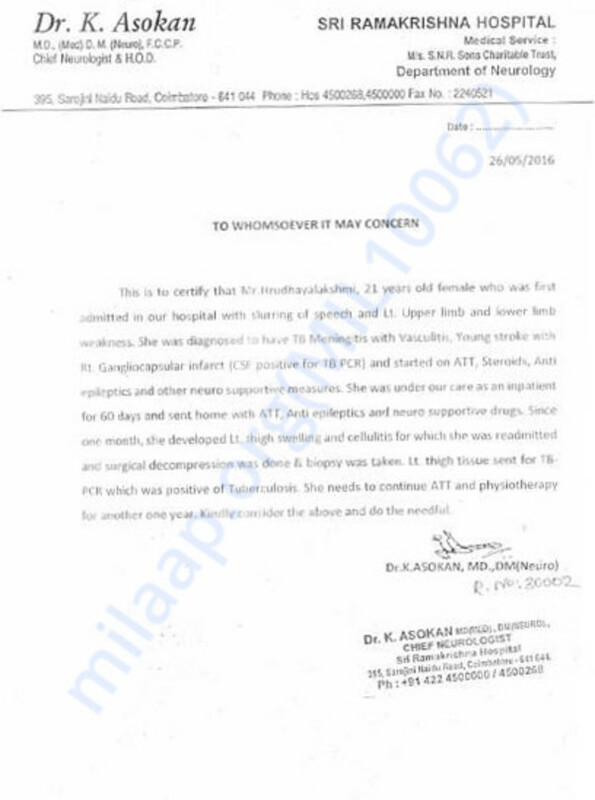 She was admitted to the Ramakrishna hospital at Coimbatore during December 2015. Now, she has got back her only her consciousness but cannot stand, walk or even talk. With gestures, she often signals her wish to go to college and study and fulfill her dream, which is now at stake. Mr. Karthi, a middle-class man, has done everything that he could do and is now left with nothing. Friends, relatives helped him with what they can but still needs funds for her treatment. He has also sold his thatch house for her medical expense. Even then he was not able to get his daughter to the doctors due to insufficient funds on the Late December 2016, which he must have taken her. Now he is very much in need of funds to provide treatment to his daughter. Please help Mr. Karthi Thandavakon to meet out the financial needs for the treatment of his daughter fighting Meningeal Tuberculosis - Brain TB. 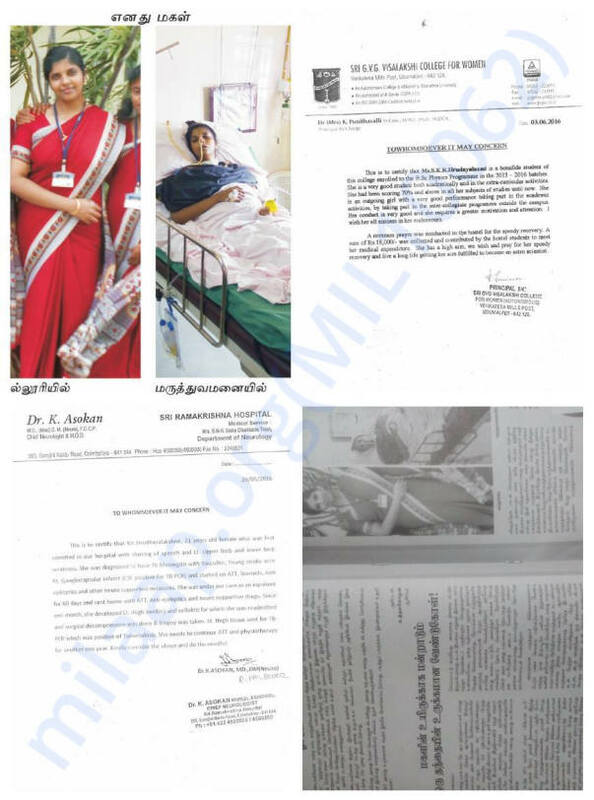 Medical Documents and Photos of Mr.Karthi's daughter Lakshmi. 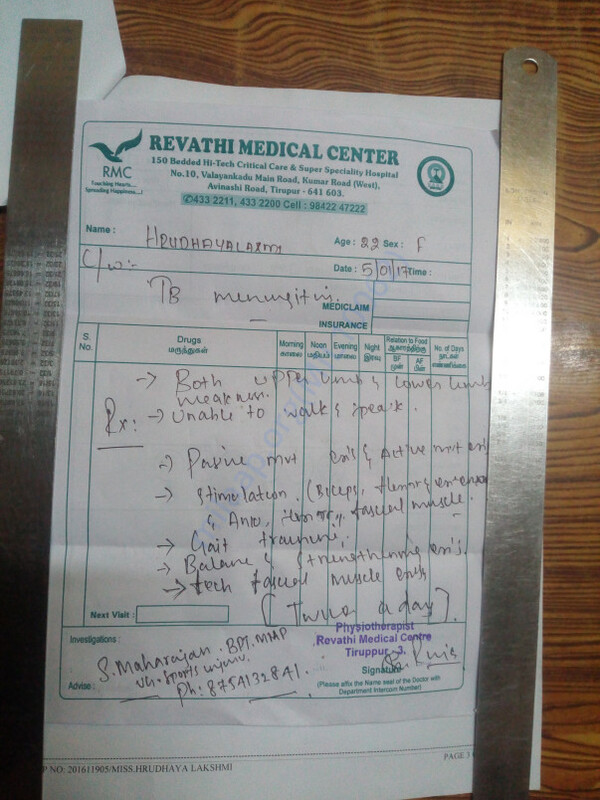 Issue from Hospital stating the disease of Hrudhaiya Lakshmi. Treatment provided at the physiotherapy clinic. Hrudhaiyalakshmi in the Folding chair, bought through funds raised. Latest statement from the Physiotherapists. Currently, Hrudhaiyalakshmi is doing good, her health condition has improved in the past 15 days tremendously. Particularly, there is a great progress in the lip movement of Hrudhaiyalakshmi, after 2 years. Thanks for all your blessings and support. I am posting this update in request of raising funds for buying certain equipments that are required for the physiotherapy treatment of Hrudhaiyalakshmi. 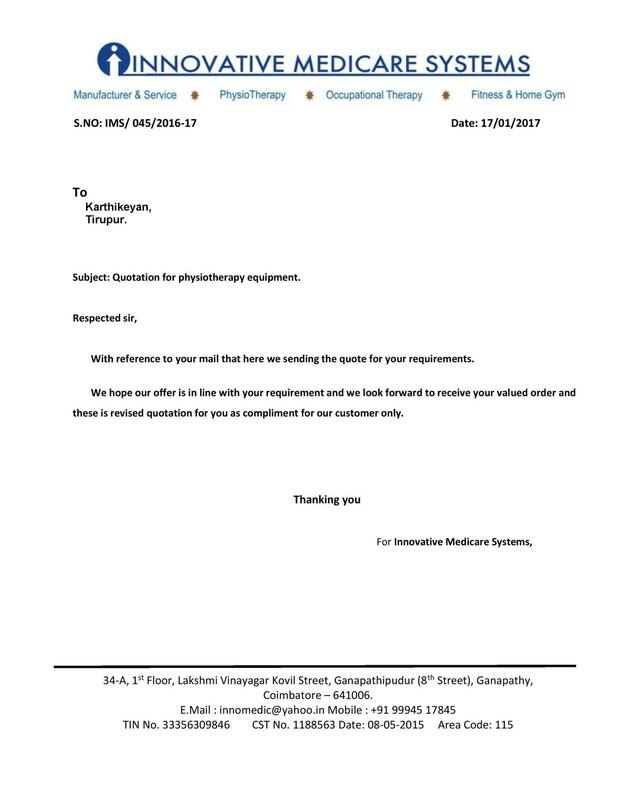 I have uploaded the best quotation that was received from Innovative Medicare Systems, Ganapathy, Coimbatore. 1. Generally, Physiotherapeutic patients are treated in the hospitals, in some cases patients tend to accommodate themselves in the hospitals, but in other cases people prefer to buy equipments and doctors treat the patient in his/her home. 2. 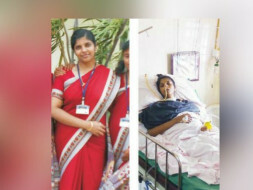 Hrudhaiyalakshmi comes under the second case where the patient is treated at home. The physiotherapy treatment till now was basic treatment and it did not include these advanced equipments. The main reason for Hrudhaiyalakshmi to treat her from home is because, there are no rehabilitation centers in Tirupur that has these equipments, and that can accomodate her. These rehabilitation equipments are only available in Ganga Rehabilitation Centre, Ganga Hospital, Coimbatore and in a rehabilitation home at Bhavani, Erode District. i) In both the above cases the patient has to go and stay in the hospitals and rent should be paid for her treatment which comes approximately around Rs.2000. 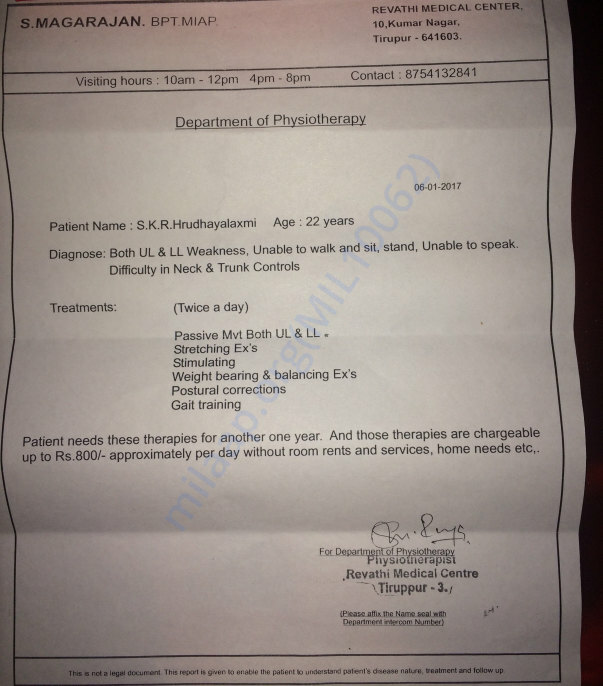 ii) As per the doctor's statement Hrudhaiyalakshmi has to undergo treatment for a longer term that may go more than 1 year. So, it becomes practically impossible and involves more funds for the patient and her family to go to another city, stay there and treat her. iii) Hrudhaiyalakshmi is now undergoing "Ayurveda" treatment (in tirupur) for a first period of 48 days and that also may exceed as per her improvements in the first period. If Hrudhaiyalakshmi is treated in other places it is again difficult to provide her Ayurveda Treatment. These caused us the need to buy the essential equipments that are needed for Hrudhaiyalakshmi's treatment to treat her from her home in Tirupur. 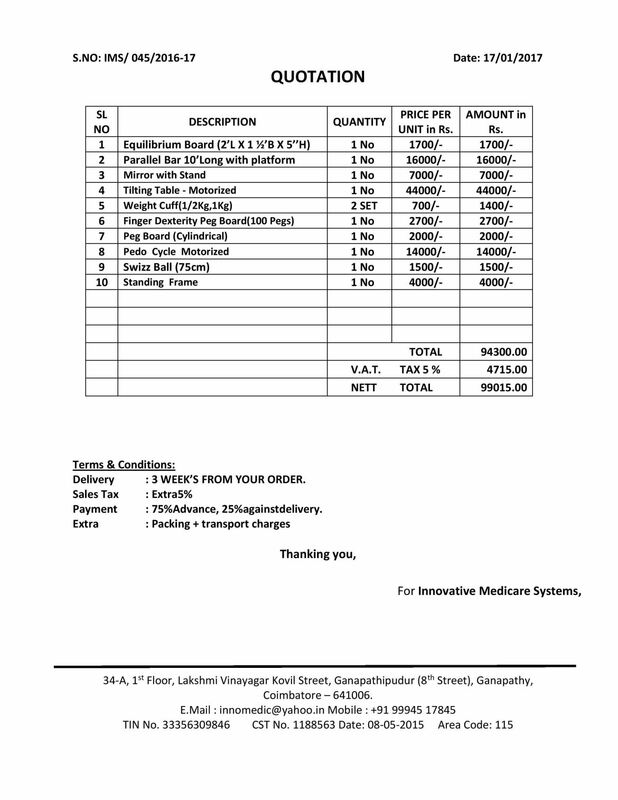 I also kindly request the donors to assist us in purchasing the essential equipments and also to kindly let us know if these equipments could be bought in lesser costs. We also tried to purchase second hand equipments but we couldn't find the right place to purchase it. 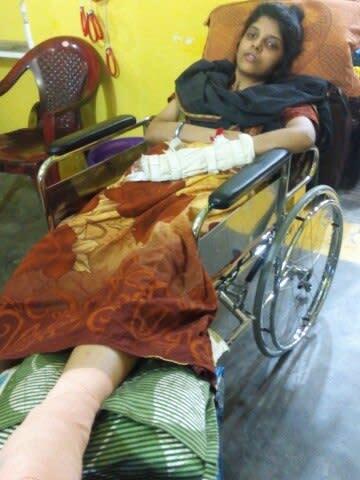 Hello supporters,With the abundant support and blessings of many supporters, Hrudhaiyalakshmi is recovering well. Physiotherapists have said that there is a good improvement in her health condition. With the support of various donors worldwide, necessary equipments like folding chairs was bought for Hrudhaiyalakshmi as instructed by the Doctors of Sri Ramakrishna Hospital. Also, as per doctors direction and with the help and support of donors worldwide, Ayurveda treatment for Hrudhaiyalakshmi has began and with the funds collected earlier, the early stages of Ayurveda treatment was managed. 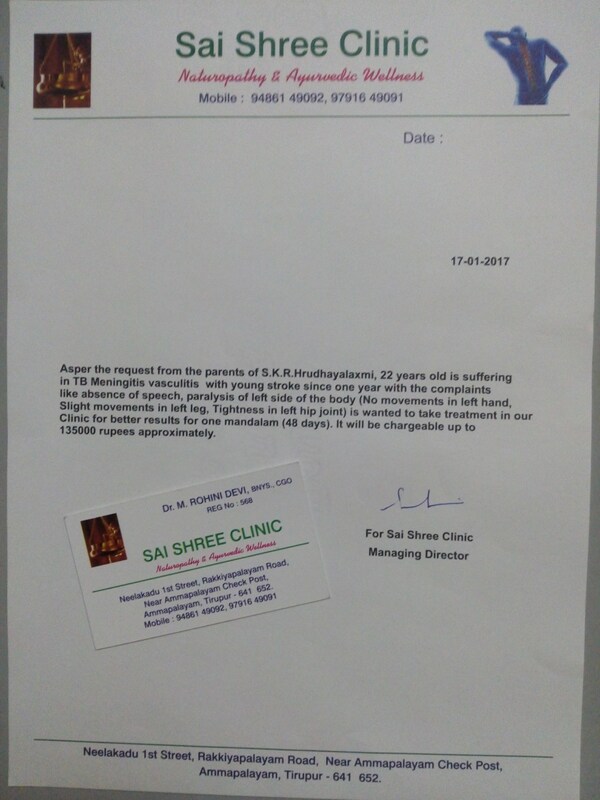 However, the Ayurveda treatment is for a time period of 48 days and it costs approximately around 1,35,000 INR(Doctors Statement has been enclosed along with this update).Without the help and support of all the donors, this would have not been possible. Hrudhaiyalakshmi, personally thanked all the sponsors and also have written a thanking note addressing all the supporters. With the Ayurveda and the Physiotheraphy treatment that is being provided to her daily, I hope she get's better soon and fulfill her dream of becoming an Astrophysicist. I also sincerely request the supporters to keep supporting Hrudhaiyalakshmi by spreading this fundraiser through social medias with your friends and family. This latest update is to exclusively thank all the donors for supporting Mr.Kathikeyan and helping his daughter Hrudhaiyalakshmi to fight against Bain TB. 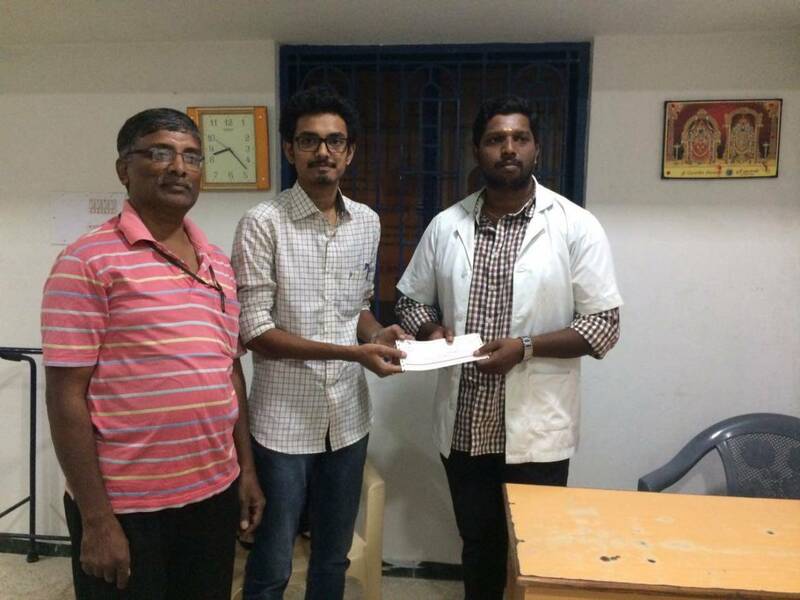 A major part of the funds raised is withdrawn and given to the doctors and to Mr. Karthikeyan for emergency purposes. This could've been impossible without your supports and we are grateful each and every one of those who has donated, shared this amongst your friends. Regarding the health of Hrudhaiyalakshmi, tomorrow, I will be uploading a video which explains the health status of Lakshmi in a more detailed way. I have also personally asked Mr.Karthik to start a campaign on Milaap for this and since he has started that, I am ending this campaign. However, the campaign will be online till the target of Rs. 1,11,000 is reached. Thanks everyone for your supports and blessings. We will pray for her speedy recovery.